Want to work in Canada as a unskilled worker? Now may be your chance. Find out which jobs Canada may need you for. Like truck drivers, the job market is expected to have a shortage of 50,000 truck drivers by 2024. The shortage of unskilled workers in the Canadian job industry is a situation that continues to escalate with each passing year, even more than industry experts previously thought. 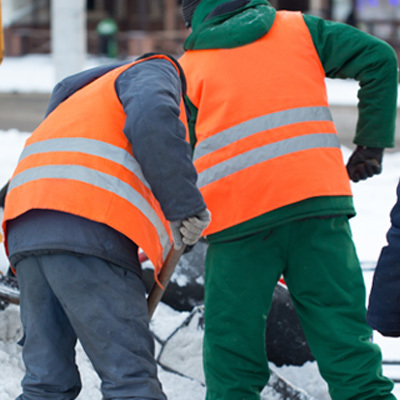 According to latest findings released by Manpower Group Inc. in their annual Talent Shortage report, nearly one-third (32%) of Canadian employers surveyed have admitted that they are facing difficulties in hiring the unskilled workers they need due to labour shortages. Some examples of these unskilled labourers include drivers, office support staff, farm workers, grocery clerks, painters and assembly line factory workers just to mention a few. Unskilled labour jobs require little or no training and make use of limited skills. Effectively these are jobs that can be learned completely in 30 days or fewer. This shortage of unskilled workers has mainly been caused by the fact that the Canadian society is based on higher education and high paying jobs. This scenario has led many Canadian companies to hire foreign nationals in order to counter these labour shortages. However, it is still estimated that Canada will have nearly 40,000 unfilled positions in unskilled occupations by the year 2020. The shortage of drivers in Canada over the last 18 months has reached crisis proportions and trucking companies are facing unprecedented challenges. In some cases, trucking companies have faced situations where loads of goods are sitting at truck terminals ready for delivery but no qualified drivers are available to take them to customers. In a new study prepared for the Canadian Truckers Alliance by Transportation Consultants it states that the trucking industry in Canada is facing a “demographic cliff”. 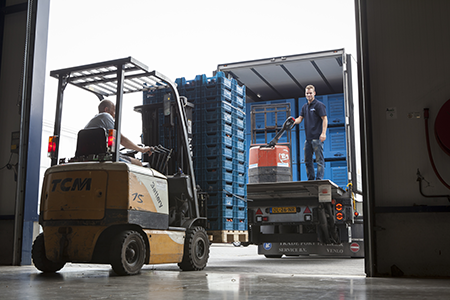 The study found that the truck driver supply and demand gap will continue to widen and it forecasts that there will be a driver shortage of over 50,000 by the year 2024. By province, demand for truck drivers is expected to grow the most in Ontario, Quebec, and British Columbia. This deepening shortage of truck drivers is occurring despite the fact that the occupation is reasonably well paying. The average hourly wage for a truck driver is almost $35 higher than the national average for all occupations. The other downside is that the majority of truck drivers in Canada are in the 50s to 60s age bracket and many of them are set to retire. Long-haul truck drivers – where the shortage is most keenly felt are required to work long, unpredictable hours, and spend a lot of time away from home hence the need for more energetic younger drivers. The trucking industry in Canada produced more than $19 billion in GDP in 2016, which is more than air and rail transport industries combined. Based on forecasts by the Conference Board of Canada, the trucking industry’s GDP is expected to grow further to nearly over $25 billion by 2024. The Canadian Meat Council says there is an estimated shortage of 3,000 meat cutters and other staff with Ottawa hardest hit with nearly 1,000 positions unfilled. This has led to companies failing to operate at full capacity or increasing exports during the last year. Ottawa has been seeking ways to make it easier for companies to bring in semi-skilled foreign workers to work in slaughterhouses and processing plants. Many companies in Canada are finding it difficult to find enough Canadians willing to work on the kill floors or curving beef carcasses in the slaughterhouses and plants. This is preventing the companies from taking advantage of the export opportunities available. The average hourly wage for meat cutters is a respectable $15 with most of them working 8-hour shifts a day. Agriculture is a major industry in Canada and the country is struggling to find ways of maintaining its production levels which are usually affected by the climate. The Agriculture industry in Canada is responsible for 6.6 % of the country’s GDP with annual revenues of $108 billion and employs over 2 million people including foreign workers. The labour shortage is, therefore, jeopardizing Canada’s global market position as an Agriculture and Agri-Food export leader. At present, the industry is said to be operating at 70% capacity due to the shortage and the inability to meet its domestic demand effectively. Canada is a wonderful country to work in and raise a family. There are exciting opportunities to pursue higher education with a high-quality education system that is conducive for learners of all ages and Canadians enjoy a high quality of life in part because of their free public health care system. Canada is respectful of people’s fundamental rights. The Canadian government respects the right to religion, freedom of expression, gathering, and association. Canada is also known for its tolerance for minority groups, including its cultural richness and bilingual society where French and English are the two official languages of communication. Canada also enjoys a stable economy and political environment that ensures immigrants are well received, with good working conditions and Provincial Labour Laws that are aimed at protecting foreign workers. Many of the Provincial immigration programs also allow foreign workers to obtain permanent residency and Canadian citizenship if requirements are met. For immigration to Canada, the visa options for unskilled or semi-skilled workers fall under the Provincial Nominee Programs (PNP) as many of the unskilled positions that are required depend on the individual province’s labour needs. The Provincial Nominee Programs (PNP) allows Canadian provinces and territories to nominate individuals, who wish to immigrate to Canada and who are interested in working and settling in a particular province and contributing to the economy, to apply for permanent residence. PNPs help the provinces to efficiently and effectively fill its labour shortages and fast-track immigration for foreign workers. Unskilled foreign workers can immigrate to Canada through the Semi-Skilled Worker Stream, a sub-category of the Provincial Nominee Program and is aligned to the Express Entry system. Under the PNP, the workers in Semi-Skilled categories are also eligible for immigration to Canada on a permanent basis and obtain Canadian citizenship. One particular advantage of the Semi-Skilled category is that the level of English language required is relatively low compared to other immigration programs. Another option for immigration to Canada for unskilled workers is the Temporary Foreign Worker visa. This immigration program is jointly administered by Employment and Social Development Canada (ESDC) and Immigration, Refugees and Citizenship Canada (IRCC). The program allows Canadian companies to respond to genuine labour market shortages by hiring foreign workers to fill positions that no other Canadian citizen or permanent resident is willing to fill. Applicants for this program are required to have a job offer with a Labour Market Impact Assessment (LMIA) and are issued with a temporary work permit for the duration of the employment. The foreign worker is also required to provide proof that they will go back to their country at the end of the employment period. Visit our website here to read more about the various immigration streams available to you. 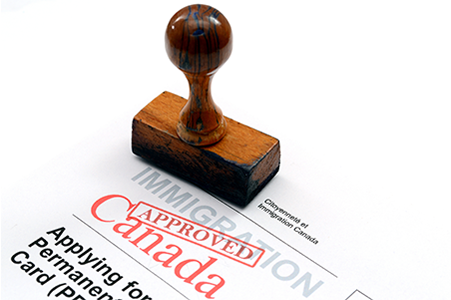 If you are an unskilled worker hoping to immigrate to Canada, you have come to the right place. Sign up with us today to get started on your new life in Canada!